Quick look at the ACME in Ortley Beach, which is of course a former A&P Futurestore with the slanted concrete facade, similar to the former A&P/SuperFresh in Harrisonburg, VA. I took these pictures before the store had received its extensive upgrades, which you can read more about at Acme Style here. The A&P Food Market lettering on the gray awning had been covered with a blank white banner, and an ACME sign had been installed, off-center. I am pleased to report that this is no longer the case! Check out Acme Style's coverage for a more updated look at the exterior and interior. 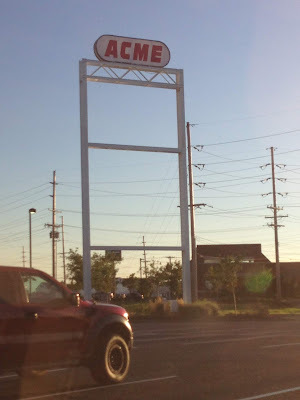 The famous ACME tower sign from the 1950s is still intact (since an ACME had previously stood on the spot where the new building is now until it was demolished in the 1980s). Previously modified with an A&P logo, it now contains--again!--proud ACME branding. The side of the store, at the time of my photos, still had a green stripe from when the store was an A&P Sav-A-Center. The supermarket, built on the site of a former ACME, probably opened as an A&P before being switched to an A&P Sav-A-Center, then to an A&P Food Market (with coinciding interior renovations). Although the store was renovated on the inside in 2012 following Hurricane Sandy, branding was not changed to A&P Fresh. 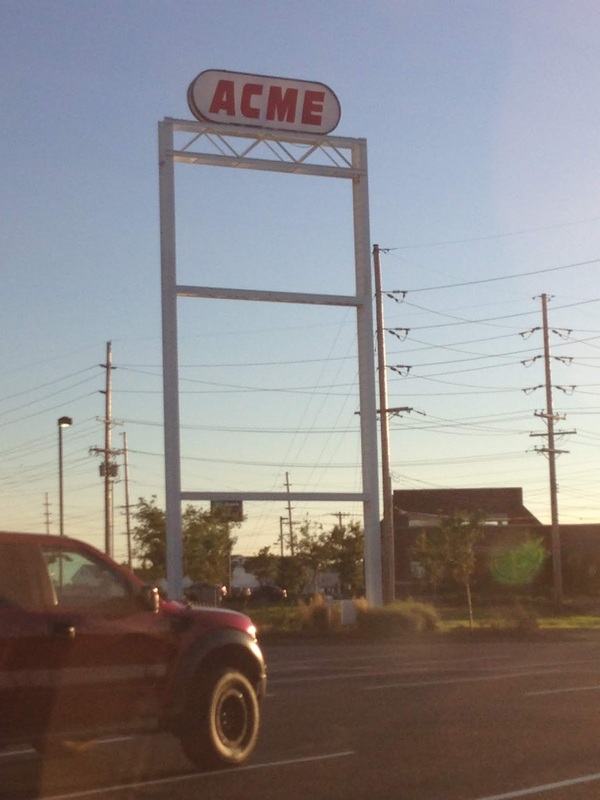 Today it operates as an ACME. The store is located at 5 Ortley Plz, Ortley Beach, NJ.